DesignerCon feels like a million years ago now, but during the great DCon weekend we were gifted with a new release of the Shard Dunny by Kidrobot x Mr Scott Tolleson. The Shard Ice Monster Dunny. 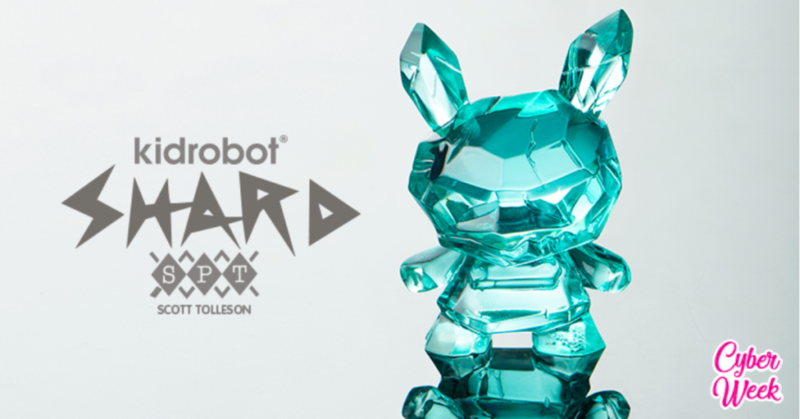 It just so happens that this latest Shard Dunny is now available to purchase via Kidrobot! Available to purchase NOW, you can this Shard Ice Monster Dunny for $60 (£47) on the Kidrobot store HERE. Limited to 300 pieces, but these usually sell out super quick so please don’t hesitate if you want to add this to your Shard collection. Shard was originally an Ice Monster concept for the The Odd Ones Dunny series in 2016. The Ice Monster character did not make the final cut because Scott did not feel vinyl or ABS would fully capture the sharpness and icy features of Shard. Cast in beautiful clear resin, Shard has finally come to life as Scott originally envisioned the character.